I do not remember any of the ducks I shot on the 2018 California duck opener except one. Now, I like the opening day as much as the next guy and it’s fun to have a lot of ducks to shoot at but it is rarely my favorite hunt of the year. The opener is more of a target shoot with ducks flying every which way as they run…er..fly for their lives. Even the coots are going crazy as their world is suddenly rocked by the sound of shotgun blasts going off in every direction. My partner Butch and I ended up with our limits but most of the birds were just flying by and got to close to our blind. Again, it is fun to shoot at a lot of targets but it feels more like a dove shoot where you just happened to be in the flight path. However, there was one instance amidst the din of whistles from other hunters and what sounded like world war 3 in the background–that a flock of about 12 teal actually responded to my call. I just happed to look up to see a flock of green wing teal about 60 yards up and I hit them with my teal whistle as I had done many times that morning. This time the group banked hard upon hearing what I can only describe as MY exact imitiation of a drake green wing teal. Actually.. to be honest, I was a little in shock that I actually got a duck, much less 10 or 12 of them to respond to the call. They continued to bank around the blind with wings cupped when they committed to landing about 15 yards out from the blind. My excuse for knocking only one down is that the shock I spoke about earlier extended to my shotgun!! As I stood there processing what had just happened, I realized that I pulled off the near impossible–I had called in a flock of teal on the opener. I know you may be thinking” big deal–I call in a lot of ducks on the opener” but were they really responding to the call or coming in anyway?? I suppose that is always the question when calling ducks–was it me or would they have come in anyway?? So on the opener, all the passing shots of frantic ducks trying to escape are a blur but it is the one group that (what I think)was truly impacted by my calling will be the dominant memory from the hunt. To me, that is what duck hunting is all about: Calling in birds close and killing them cleanly…not pass shooting and chasing wounded ducks all over the pond!! 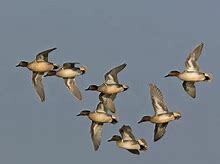 The day is coming soon (hopefully mid December) when fresh migrants from the north will be calling by the thousands and will actually respond to the whistle or the mallard call and a flock of teal banking hard around the blind is not a shocking occurence. That is the hunting I look forward to and will remember.